Thoughts from Brahma Kumaris: Fulfill your promise instead of just keeping it in a file and you'll find progress. Fulfill your promise instead of just keeping it in a file and you'll find progress. Checking: In all that you do throughout the day, check to what extent you are able to fulfill the promises that you make to yourself. Also check the reason for not being able to fulfill some promise that you have made recently. 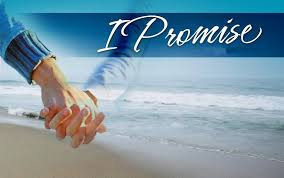 Practice: Think of that promise that you had made to yourself recently that you had not been able to fulfill and think of the reason why you had made that promise and how important it is for you to fulfill that promise. When you practice in this way you'll find yourself getting enthusiastic to fulfill that promise. What is a good definition of worry? Worry is a process of imagining the worst possible outcome or result or future in a particular situation and creating a living and active image of it in front of the eye of your mind, and then using the energy of that negative image to flow inside your consciousness so as to completely overpower or weaken your spiritual and as a result your physical self to evoke fear in the self. When people are asked about this process, a person who is attached to this process and is involved in the process very regularly the whole day in different types of situations, one who is a habitual worrier, responds - But it’s important t0 worry, it’s good to worry. If we don’t think of different possible negative outcomes, how will we prepare for them? It’s important to realize that the belief, that by worrying, we prepare for the worst in the future is a false one. This belief causes us not to realize the truth that all worry is simply an incorrect and fruitless creation. It is a wrong use of the positive, constructive and imaginative capacity of our mind and intellect which, instead of empowering the mind and intellect, weakens it. Preparing for the future is important and necessary, but very often while doing that, we enter the territory of worry, which leaves us, defeated or weakened. There is an extremely fine line between proactive preparation (necessary preparation in advance) on the one hand and worry on the other. The preparation can be done without creating an excessive number of possible negative outcomes in the mind.